On Saturday, March 17th, 2018 as most people in America were celebrating St. Patrick's Day, in various and sundry ways unbefitting this early Christian Saint, the faithful, together with their priest, Fr. 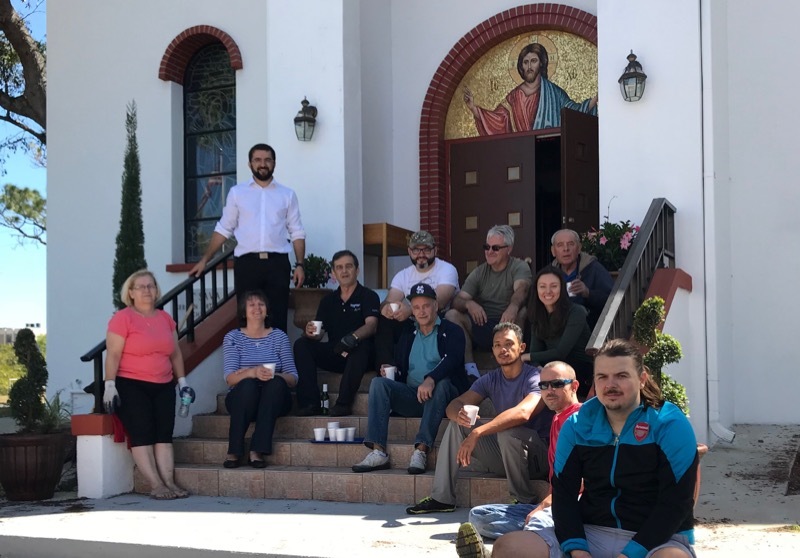 Dragan Zaric, of St. Sava Serbian Orthodox Church busied themselves with cleaning the church yard and planting flowers, plants and shrubs in time for Pascha - Easter! 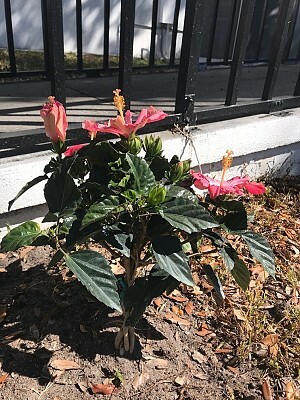 A deed well-pleasing to the Lord, Who looked upon all that He created and declared it to be good! Great Lent is, in fact, a return to the Garden of Eden - Paradise! By fasting we recall that we were not created to kill in order to sustain our lives. Every monastic knows that St. Gregory Palamas teaches that one cannot experience true spirituality without placing their hands into the ground and returning to creation. Truly, as the Venerable Ava Justin of Chelije taught us, "children and flowers will save us". The great Dostoevsky taught us that "beauty will save the world"! to behold the beauty of the Lord, and to inquire in his temple" (Psalm 27:4 (RSV).